W. W. Norton & Company, 9780393320350, 845pp. From his illegitimate birth in a small Austrian village to his fiery death in a bunker under the Reich chancellery in Berlin, Adolf Hitler left a murky trail, strewn with contradictory tales and overgrown with self-created myths. One truth prevails: the sheer scale of the evils that he unleashed on the world has made him a demonic figure without equal in this century. Ian Kershaw's Hitler brings us closer than ever before to the character of the bizarre misfit in his thirty-year ascent from a Viennese shelter for the indigent to uncontested rule over the German nation that had tried and rejected democracy in the crippling aftermath of World War I. With extraordinary vividness, Kershaw recreates the settings that made Hitler's rise possible: the virulent anti-Semitism of prewar Vienna, the crucible of a war with immense casualties, the toxic nationalism that gripped Bavaria in the 1920s, the undermining of the Weimar Republic by extremists of the Right and the Left, the hysteria that accompanied Hitler's seizure of power in 1933 and then mounted in brutal attacks by his storm troopers on Jews and others condemned as enemies of the Aryan race. 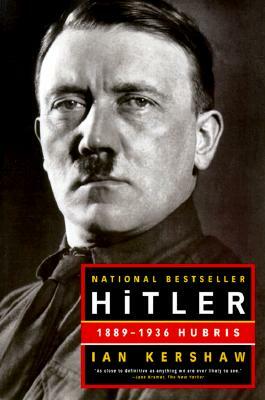 In an account drawing on many previously untapped sources, Hitler metamorphoses from an obscure fantasist, a "drummer" sounding an insistent beat of hatred in Munich beer halls, to the instigator of an infamous failed putsch and, ultimately, to the leadership of a ragtag alliance of right-wing parties fused into a movement that enthralled the German people. This volume, the first of two, ends with the promulgation of the infamous Nuremberg laws that pushed German Jews to the outer fringes of society, and with the march of the German army into the Rhineland, Hitler's initial move toward the abyss of war.